Indulge yourself in the relaxed atmosphere of Chorn Ngern Restaurant, Where the extensive choice of thirst-quenching drinks and mouthwatering dishes ensure an unforgettable time whilst you are serenaded by enchanting melodies and vocals. Our fully-equipped small, medium or large-sized function rooms can cater for anything from 30-500 guests. Each room is fitted with state-of-the-art technology and everything that you could need for your meeting, seminar or auspicious occasion. We offer you reasonable prices, but with the added bonus of impeccable service on top. 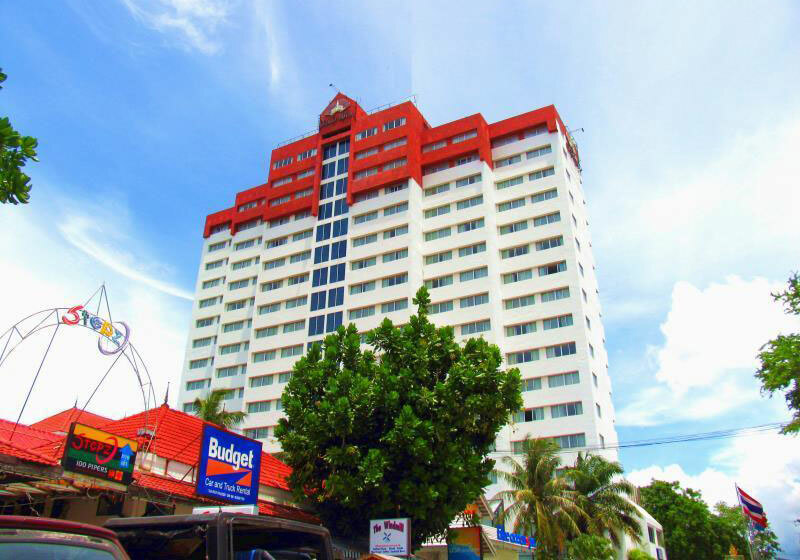 Short Description: Hua Hin Grand Hotel and Plaza is a gem of a holiday retreat in an easily-accessible location right in the heart of Hua Hin town. With 160 comfortable rooms and suites, all boasting tasteful décor and comprehensive amenities.